Looking for something to do that’s outside and inexpensive? Does the idea of seeing birds from all over the world sound exciting? Tracy Aviary is located in Liberty Park at 1300 South 500 East. Show your student I.D. and check it out for only $6. The Aviary opened its doors in 1938 when a charitable donation of a private bird collection was made by Salt Lake City banker Russell Lord Tracy. The Aviary’s tenants include many rare and endangered species. Some of which are the bald eagle, golden eagle, flamingos, peacocks and pigeons – just to name a few. There are around 400 birds in the collection and the friendly staff stays busy feeding and caring for them. 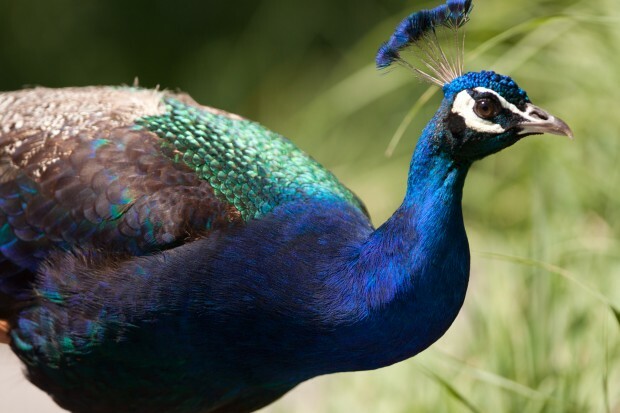 The avian ambassadors’ have great enthusiasm – hosting shows, educating and answering any question an Aviary guest may have. The Aviary is putting the final touches on a renovation project that started in 2005. Amidst the last of the orange cones and fencing, they are open every day from 9 a.m. to 5 p.m. They’ll also help you beat the heat and stay open until 8 p.m. every Monday through Aug. 29. It’s best to access the Aviary through the Liberty Park North Entrance at 900 South 600 East. Owl Forest is the newest addition and was built to take advantage of an area of the grounds that was underutilized. The space is home to several rare and hard to spot owls from Utah and all around the world nestled throughout a thick wood-scape. There are picnic tables for lunch and large trees providing shade. Don’t forget to check out the rest of Liberty Park while you’re at it. 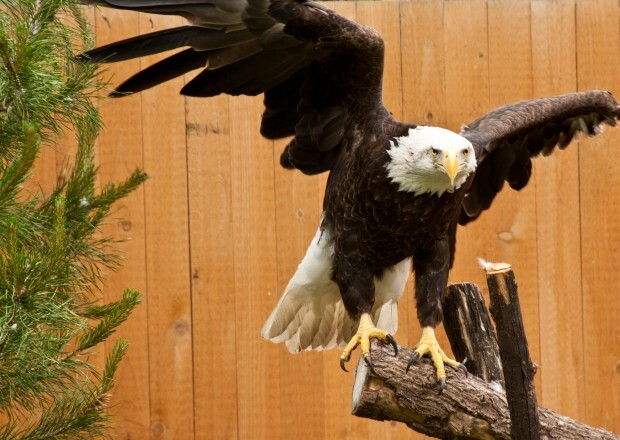 Up close and personal, the bald eagle is an amazing site to see at Tracy Aviary. 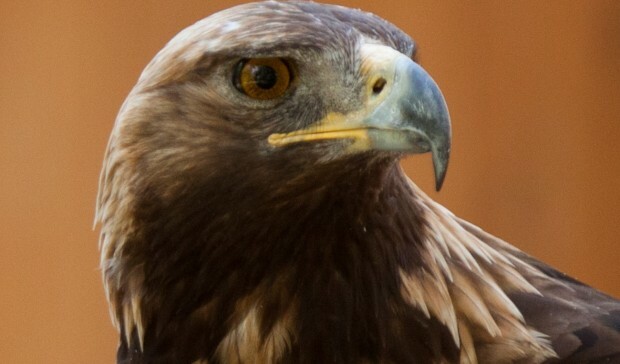 The Tracy Aviary has two golden eagles to view without a fence in the way. The eagles can’t fly anymore but they seem happy posing for photo opportunities. 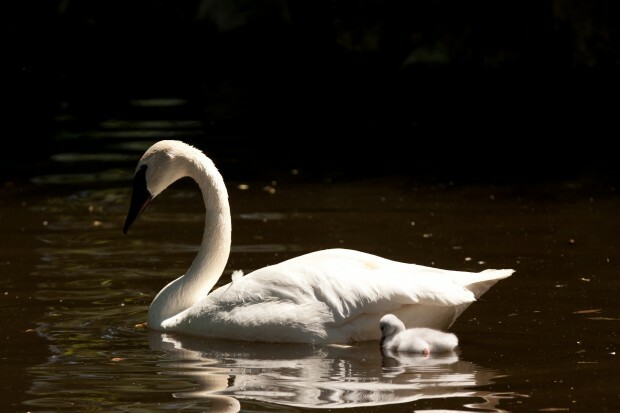 A swan and its cygnet, the name for Swan offspring. 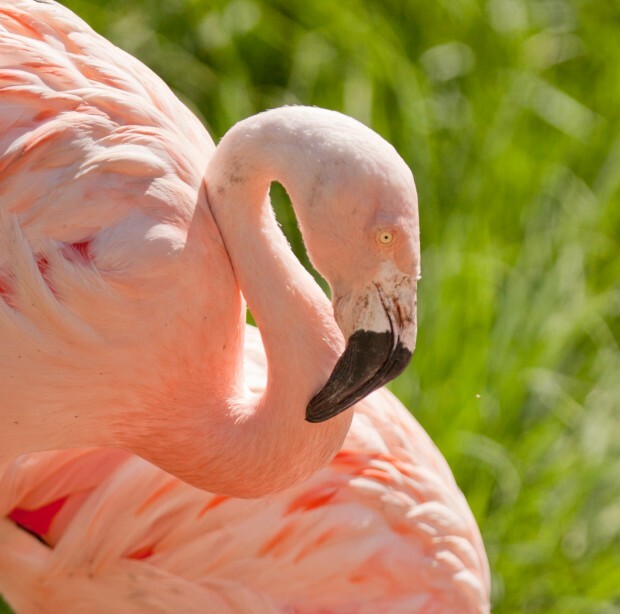 The Aviary boasts Chilean flamingos. With serious attitude a male peacock flaunts his feathers. 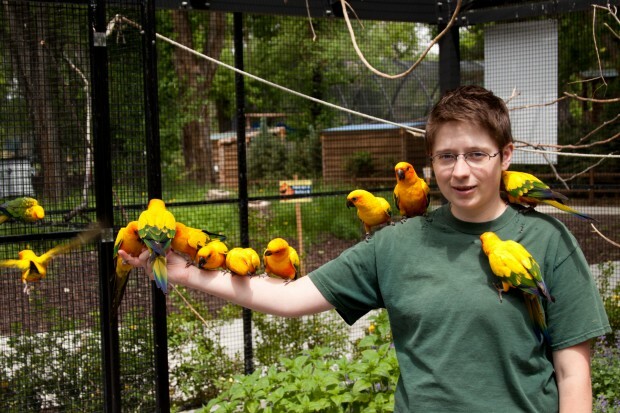 Aviary staff member Michelle Fisher takes care of her gang of sun conures during feeding time. These birds on a wire are bright colored and lively. 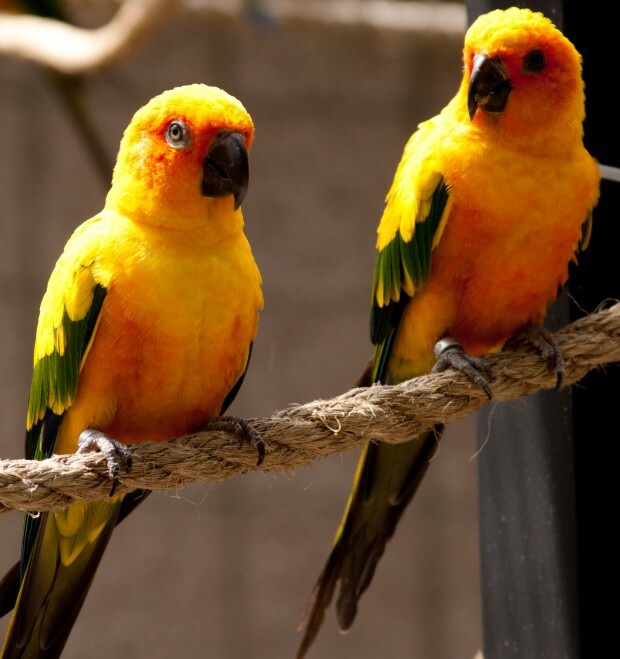 The sun conures hang out and wait for their next feeding.